They'll raise their glasses and make a toast to you for sending the perfect gift. 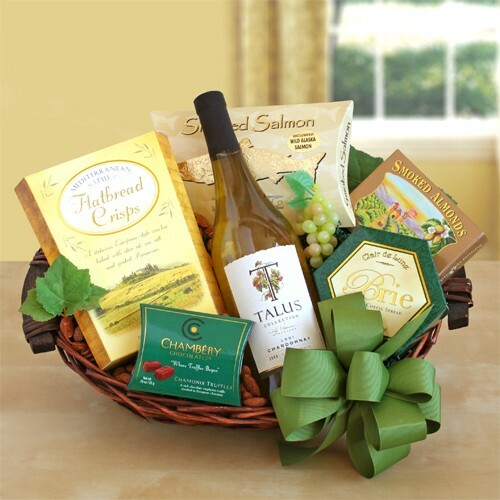 A mouthwatering California white wine paired with a smorgasbord of gourmet snacks make this gift a favorite among recipients. Gourmet snacks include: flatbread crisps, smoked salmon, cheese, smoked almonds and chocolate truffles.